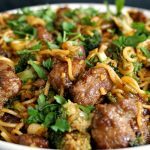 Broccoli and beef noodles stir fry is a complete meal that can be cooked in well under 15 minutes (apart from marinating). Everything you need is on this plate: protein, carbs, fibre, a whole range of vitamins and minerals, and above all, that unique Asian flavour that keeps us wanting for more. This is restaurant quality from the comfort of your own home. Take aways have the bad reputation of being unhealthy, greasy and loaded with sugar. Yet, they are tasty, so there’s no wonder why they are so popular. But how about having the same tasty meal that actually is healthy, and it’s made with fresh, good quality ingredients. You won’t believe how easily this can be achieved. No need to be a Master Chef, anybody can cook a delicious dish at home. And here is how! Believe me, l’ve tried quite a few times before l could be happy that the beef was as tender as the one in restaurants. 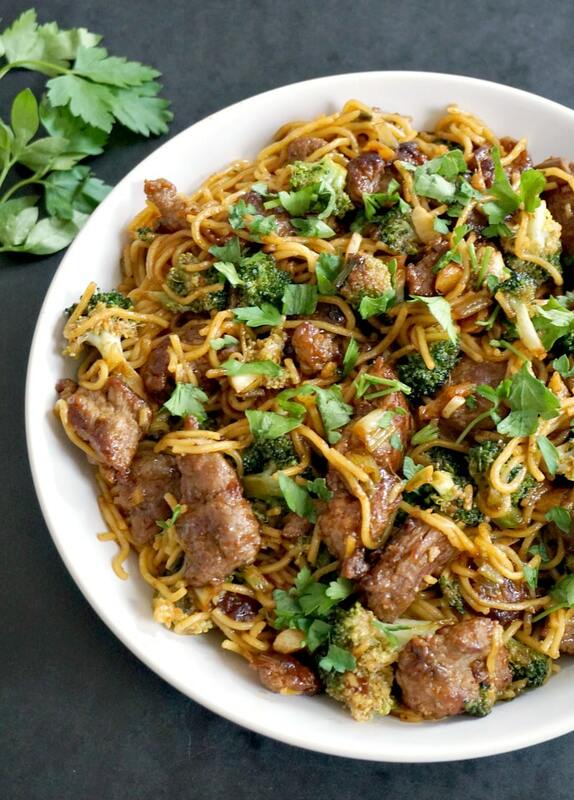 The first time l made this dish it was a complete disaster, the noodles, broccoli and sauce were pure perfection, yet the beef was far from tender: chewy, hard, inedible. So what was l doing wrong? Well, l stupidly expected to throw the beef strips in the pan and get them out tender and juicy. It doesn’t work quite like that. What works best is to use a meat tenderizer (or a good old rolling pin) and bash the meat really well until it’s nearly flat. Make sure the strips are small, so they can cook faster. Then, leave the meat to marinate, if possible for at least one hour, in a mixture of sesame oil, corn flour and soy sauce. This really helps a lot with the tenderizing process. If in rush, you can cook the beef straight away, but still coat it in the marinade. Another tip is to never overcrowd the pan, cook the beef in batches, to make sure it cooks through, it doesn’t need more than 1-2 minutes on a high heat. And there you have, tender beef, just how it should be, cooked to perfection. 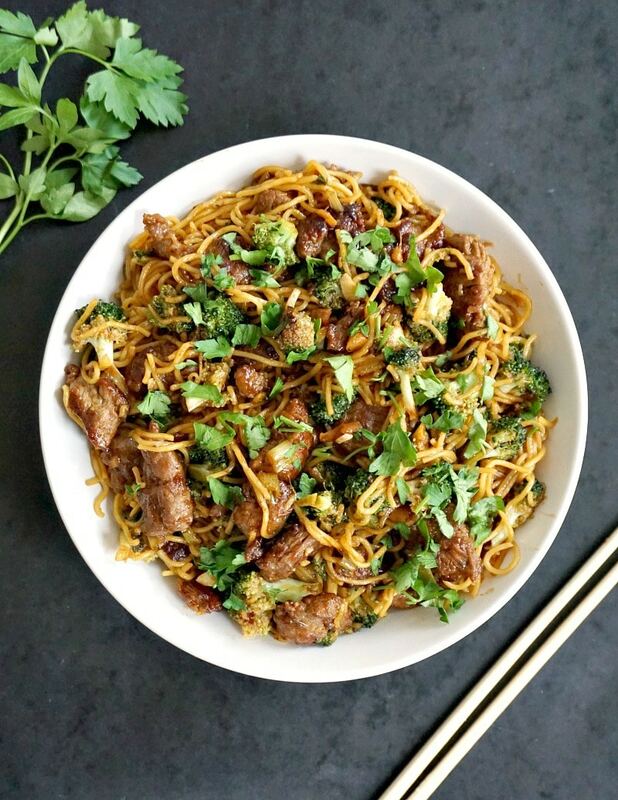 Your easy beef noodles recipe is pure delish. How do you make broccoli and beef noodles? Once the meat has rested in the marinade, the rest is so easy and quick. All you have to do is cook the noodles separately according to the package instructions. I love the thinner egg noodles, but you can use anything you like, vermicelli, ramen, soba noodles, etc. 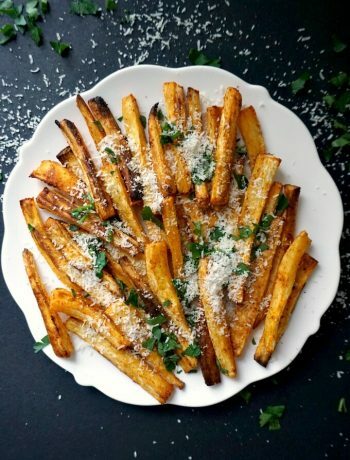 They all have a distinct texture and taste, but work well in this dish. As for the sauce, l don’t buy the ready made ones, they are way too sweet. Make the sauce yourself, it’s super easy and brings so much flavour. Again, just simple ingredients that are the very foundation of many Chinese dishes: light soy sauce, dark soy sauce, sesame oil, rice vinegar, a tiny little bit of brown sugar and corn flour. How easy! Who needs to order a take-away? Now, let’s see how to cook this delicious meal. Super easy, l promise. Oh, by the way, do you like chicken? I have this yummy scrummy Chicken and broccoli stir fry, this time with rice. Equaly delicious, ready in under 15 minutes, with no marinade needed. Easy, right? I just love stir fries, as you can tell. Check out my finger-licking: Tofu, broccoli and mushroom stir fry with basmati rice for a delicious vegan dish that even meat lovers will enjoy. If you’ve liked my BROCCOLI AND BEED NOODLES STIR FRY or any other recipe on the blog then don’t forget to rate the recipe and let me know how you got on in the comments below, I love hearing from you! You can also FOLLOW ME on FACEBOOK, and PINTEREST to see more delicious food and what I’m getting up to. 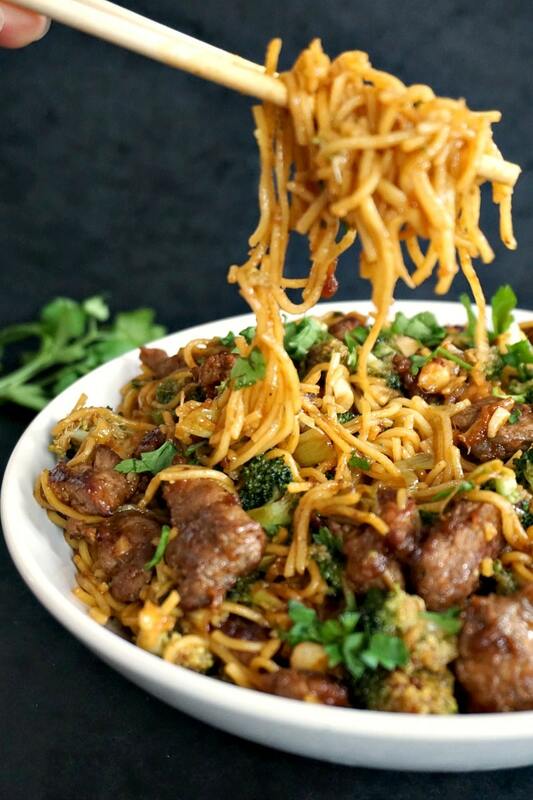 Broccoli and Beef Noodles Stir Fry, the most delicious Chinese recipe that is popular all over the world. Super tender beef, egg noddles and broccoli, what a satisfying dish! Start by making the marinade. In a bowl, combine one tablespoon of light soy sauce, one tablespoon of dark soy sauce, half a tablespoon of corn flour and half a tablespoon of sesame oil and stir. Use a meat tenderizer to bash the beef strips really well, until almost flat. Add them to the marinade, cover the bowl with kitcken foil and leave to rest for at least an hour. Boil the noodles according to the package instructions. Drain the water, add a splash of sesame oil and toss well. Set aside. Add half of the vegetable oil to the wok and fry the beef strips in batches, about 2 minutes on each side, until cooked through. Remove from the wok and set aside. Add the remaining vegetable oil to the wok, chop the spring onions, garlic and ginger and fry for about 30 seconds. Break the broccoli into small florets, add to the wok and stir fry fry for 2 minutes. Add the remaining soy sauces, corn flour, sesame oil, sugar, rice vine and leave to cook for a further one minute. In go the beef and noodles, stir well to combine, add the chopped parsley and remove from the heat. Click on the US Customary link to see the measurements displayed in cups and ounces. The servings can be adjusted by clicking the number next to Servings. This looks amazing! 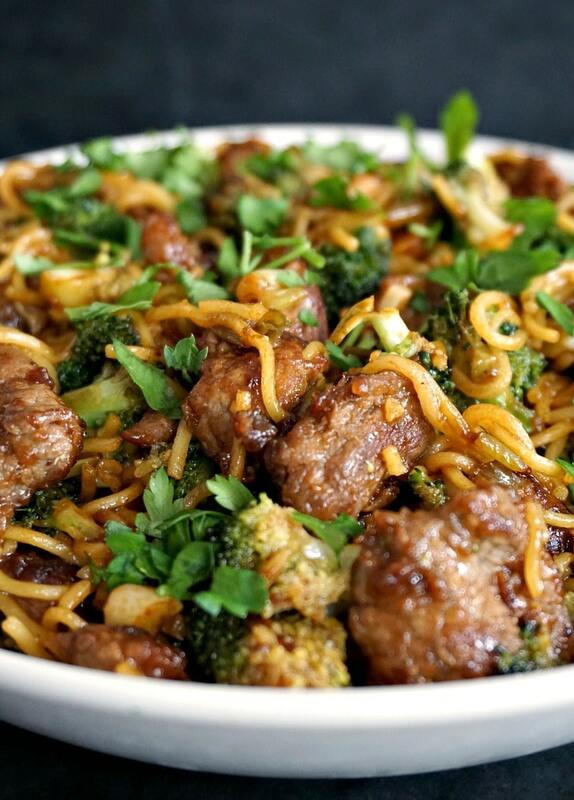 We love Asian inspired dishes, and beef and broccoli is one of my favorites. I didn’t know that there was light soy sauce and dark soy sauce. I’ll have to hunt down some of both to make this yummy beef. 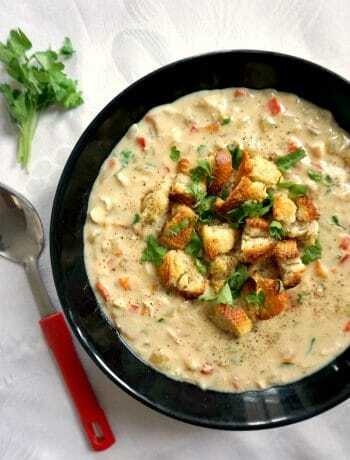 The light sauce gives saltiness, where the dark one brings colour and a thicker texture. They work well together. MMMMM! Beef & Broccoli is one of my favorite dishes, and I hadn’t tried to make it yet. I pinned this so I remember to use it when I’m cooking indoors again. Thank you! I love Asian food and beef and broccoli is one of my favorites. Love the flavors used in this dish.. !! Sounds so delicious – love the addition of ginger. YES! I am bookmarking this one for our meal plan, we love any kind of stir fry dish and the fact it has my favorite vegetable makes it even better. Yum Yum! Great photos and good tips. No-one wants beef jerky in the middle of noodles. I really like stir fries — the combination of flavors and ingredients. I’m pinning to make. This looks absolutely mouth watering! What a fabulous dish! I can already feel that this is a total winner recipe. Who doesn’t love stir fry’s and this would be such a breeze for weeknight meal. Looks delicious this one of the best noodle recipe. I know beef and broccoli is best combo but you made it bestest of the combo. That is the only word I know. Thanks for sharing nice tips too. This is a total winner for me. 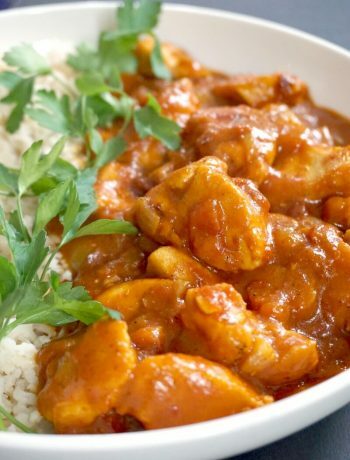 Perfect for a busy week night meal. I am Crashed by seeing your Noodles ! This make me hungry 🙂 Will try now according to your instructions ! Thanks a lot for sharing with us ! Thank you very much 😊 Glad you like them! Hi Gene, thank you for your comments. Sorry l have just seen the comments, l hope the recipe turned out alright. Terribly sorry that the instructions were not too clear, l usually write the posts at night when little ones are asleep, it looks like I had not double checked properly before posting. Indeed, the other half of the cornflour is used towards the end when making the sauce. Brown sugar works perfectly here, you used a good amount. Sometimes, people leave the sugar out, it is up to one’s taste. Although the brown sugar does make the sauce tastes better. I have updated the recipe now, I hope you liked it. Hi Daniela, thanks for your response and fixing the recipe 😃😃. It turned out great! I’m making it again tonight by special request from my husband. Thank you for sharing your excellent recipe!! Hi! That’s great! Glad that you enjoyed the recipe. I’m a big fan of beef, and this stir fry is by far my favourite. 😊 l need to make some more soon. Hi Gene! Thank you for your comment! I am glad you like my recipe, but I must admmit I am a bit confused about the 2 star rating? Hi daniella, I couldn’t change it, my phone wouldn’t let me put 5 star and I don’t know how to change it. I make this all the time now, it’s so easy and wonderfully tasty!! Thank you for that, much appreciated!